You know how I’ve mentioned my weird food-word association? If it sounds weird, I jes aint gonna eat it. I don’t even know when this all started……..but it was way back. As I have mentioned before, it took me forever to try HUMMUS. I hate that word. So I usually stick to calling it BEAN DIP. 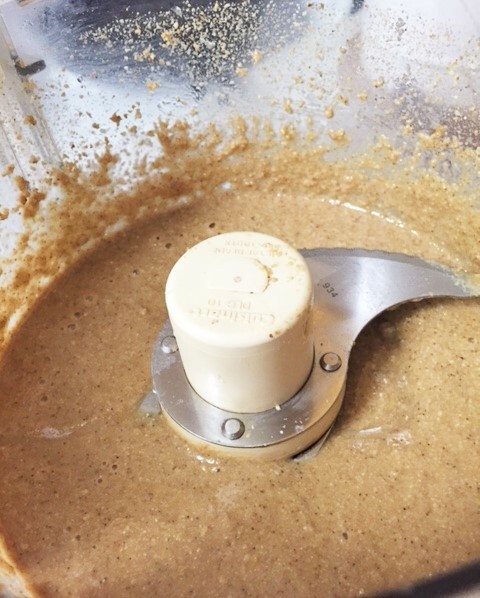 Well, a key ingredient in HUMMUS, is another word that really bothers me…..TAHINI. OMG, what is it about that word that is so annoying!!!! 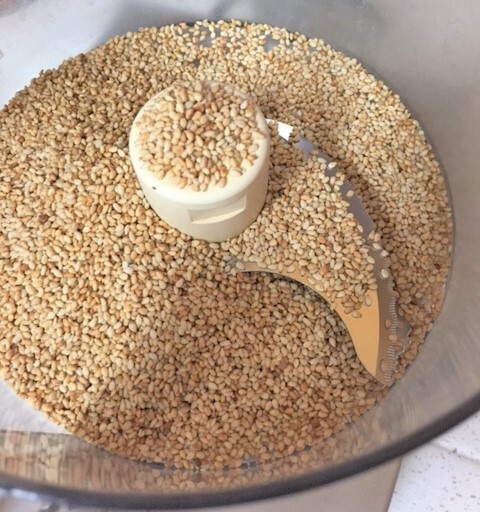 Now, I know that it is just some smashed up sesame seeds, but come onnnnnn……TAHINI?? It’s just weird. It’s also a bit pricey, considering it’s just a bunch of smooshed up sesames seeds and some oil. Plus, you have to buy a big ol jar and it goes bad quickly. So, I thought I would make my own. You can make just what you need every time you crave that “H” word. 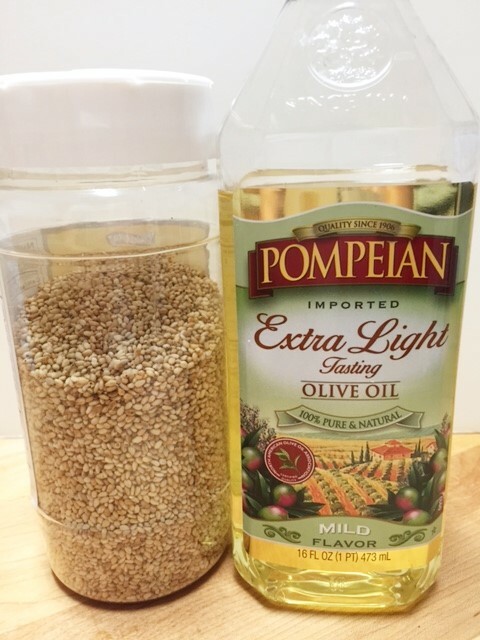 So, all you need is some toasted sesame seeds and some olive oil. That’s it. 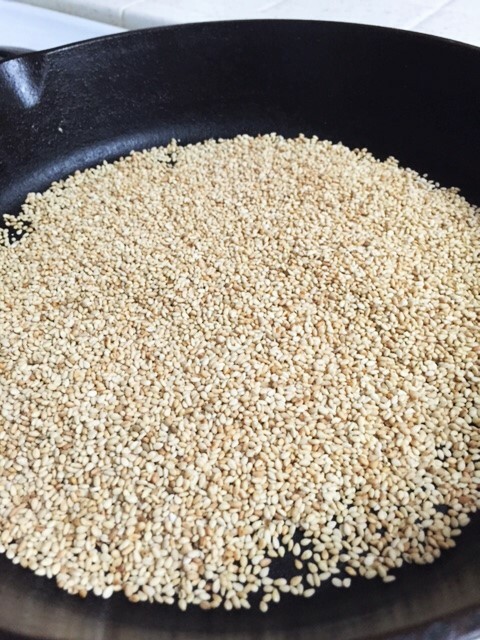 Toast the seeds in a skillet on medium heat. Move them around because they burn easily. Remove from pan as soon as they start turning brown. Put them in a food processor or a good blender. Give them a good blitz….3 or 4 times until you have a pretty fine powder. Then add the olive oil and give it another blitz or 2 or 3 times. If you need to add a wee bit more oil, do so until you get a nice smooth paste. If it doesn’t look ultra smooth, don’t worry about it. It will be fine. That’s it. Too easy. Store it in a jar until you’re ready to use it. Drain the garbanzo beans reserving the 1/4 cup and put all ingredients in a blender and blend on low speed, until smooth. Pour it into a bowl, chill in the fridge for a couple hours to let the flavors meld. Sprinkle with some paprika, I use cayenne pepper. Serve with warm pita or pita chips.